What's Old Can Be New Again, Just Add A Twist! 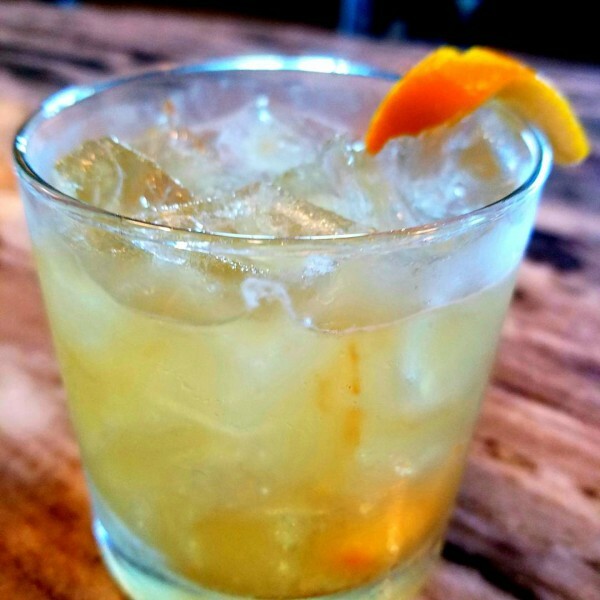 Sometimes, the best cocktails for pairings, are the old fashioned tried & trues. I say this, because the art and craft of mixology and cocktail pairings isn't always about the newest trend, or the current fad, or the creative exciting. Sometimes, the best possible drink pairing with a dish, is a drink that's been around for ages, just with a subtle twist to make it your own. A few weeks ago, the culinary team I work with did a special appetizer in which the shining star was a beef tartare. The mixologist side of me wanted to create something completely new and interesting, but the realist side of me knew beyond a doubt, that the biggest seller drink pairing would definitely be a classic semi-dry martini with bleu cheese olives. Now, that doesn't mean an eclectic adjustment couldn't have been put on that classic martini. Bleu cheese olives have a strong flavor that pair well with vodka or gin as a base, and steak tartare, with its pepper and coriander spicing is also a strong flavor that lends itself to this general favorite aperitif. A complimentary flavor pairing could be basil or lemongrass infused in the gin or vodka for a sweet citrusy compliment to both flavors. Another possible creative option would be to place the stuffed olives on a sprig of rosemary for the combination of flavor and aromatic. What about Asian-style dishes? A few months ago, I was asked to create a pairing for a lettuce wrap appetizer that included ground pork, hoisin, pickled vegetables, and sweet and sour dipping sauce. I decided to tweak a mojito as a pairing. Obviously, most of us don't normally think of mojitos as something that one would pair with Asian-American cuisine, but instead of rum and lime, I used pear vodka, ginger root, cucumber, and pineapple with the mint. This light, citrusy, cooling-fresh combination, was a wonderful compliment to the heavier spicy sweetness of the pickling and sauces in this particular dish. This standard cocktail with a twist worked like a charm! What about Sangrias? Not every wine cocktail has to be about berries or juice. What about melon? I once paired a gazpacho dish with a sauvignon blanc based sangria in which I used honeydew melon that had been infused with basil and coriander, both lemon and lime, and a dash of elderflower liqueur. There are infinitely more examples of possibilities for every form of cuisine, but my point is this, just because it's not completely new, or incredibly imaginative, doesn't mean that it's not the perfect cocktail pairing for your dish. If you want to get creative with an old favorite, great! If not, don't sweat it. Like many things in life, sometimes the best stuff you can create to pair, has been in your wheelhouse all along!